PREMIER PROFESSIONAL LANDSCAPING – WHERE QUALITY MEETS CREATIVITY! Established in April of 2007 – Premier Professional Landscaping is a professional lawn maintenance & landscape design company. We serve both commercial & corporate residential properties in the tri-county area. We provide an extensive range of services. We’re your one-stop solution! Premier offers a great group of team members that help to exceed the mission and vision of our company. Our teams of master gardeners and lawn care specialists have the experience and track record to turn your property into an appealing environment that you will truly love and appreciate! Our customers are our #1 goal! – We provide every customer with great & quality service! Over the years, Premier has worked diligently to implement high standards of quality control and project management through great customer feedback. Our company mission is to ensure every project is completed right the first time with a smile. We staff experienced professionals who take pride in their work & provide friendly customer service at the highest level of confidentiality for your work space. We believe in building great relationships with our customers and establishing a strong foundation of trust & integrity. 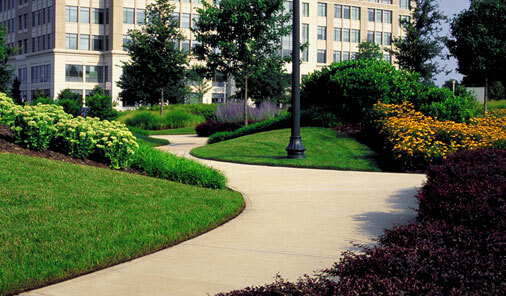 We provide the following services for landscaping: Spring and fall clean ups, Mowing, Hedge trimming, Flower planting, Mulching, Bed maintenance, Debris removal, Tree trimming, Grading & sodding, Landscape design, Weed removal, Fertilization service available upon request and other services are also available upon request. Lawn Maintenance includes mowing, trimming and edging for each cut to maintain a pristine appeal!